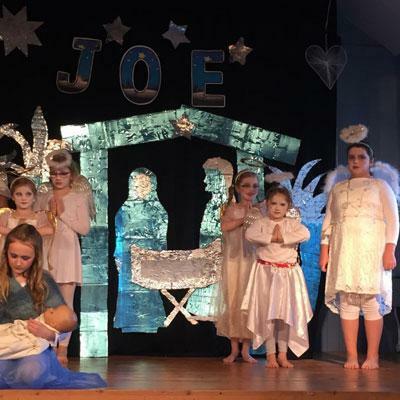 On Thursday 8th December the whole school performed our Christmas play Holy Joe, a modern take on the traditional bible story. 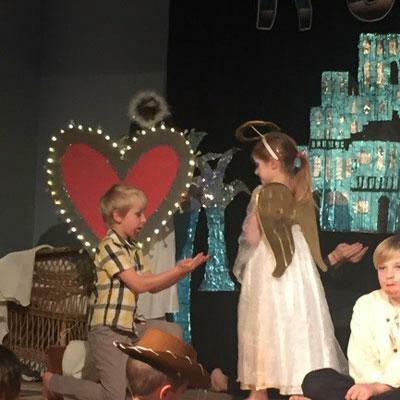 There were two performances at 2pm and 6pm. We had some superb vocalists performing their solos they sang beautifully! 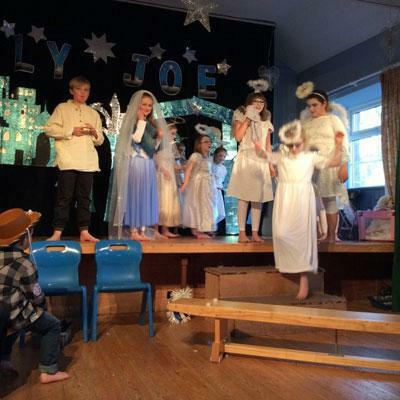 The dancing was choreographed by Meg Fynn every child in the school took part and they have worked very hard on Wednesday afternoons putting these routines together. 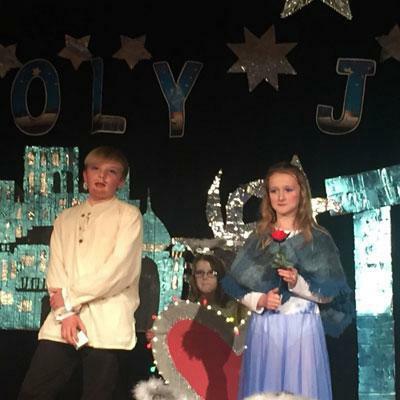 The acting was fantastic we have a school full of very talented actors from Reception children through to Y6. 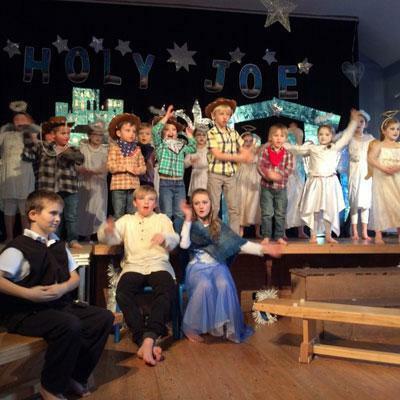 Each child gave it their all and really shone on stage. Tiegan also performed a solo on her violin ‘How Many Stars’ a song from the script. Mrs Elstone put a lot of work into creating the magical Bethlehem and stable back drop along with class 2 who helped to make these. 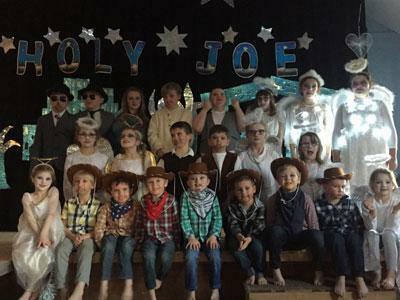 Thanks go to all the parents for providing some excellent costumes together with the make-up and face paints the children looked amazing on stage! Donations were put towards Ankoma Outreach and Eden Young Carers. 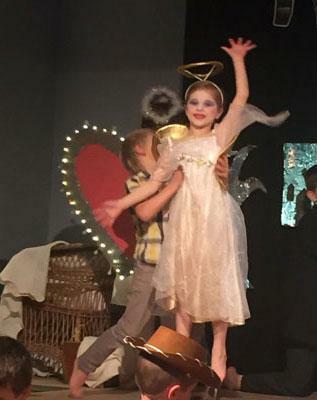 Friends served refreshments at the evening performance.